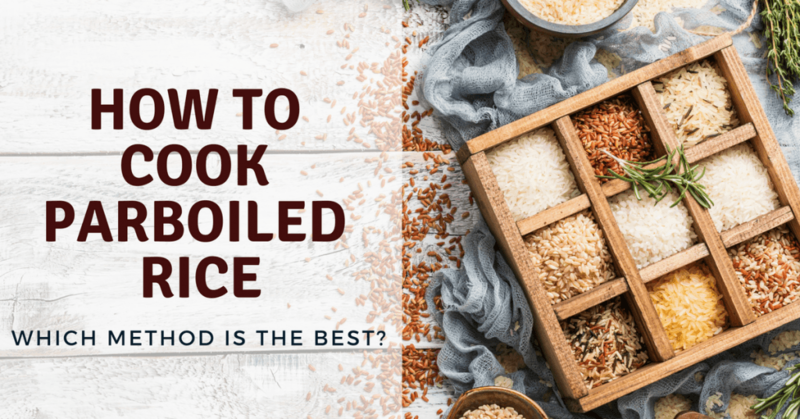 →How to Cook Parboiled Rice: Which Method is the Best? Let us learn a bit about parboiled rice. It is a kind of grain which was boiled in the husk before being dried then sold. 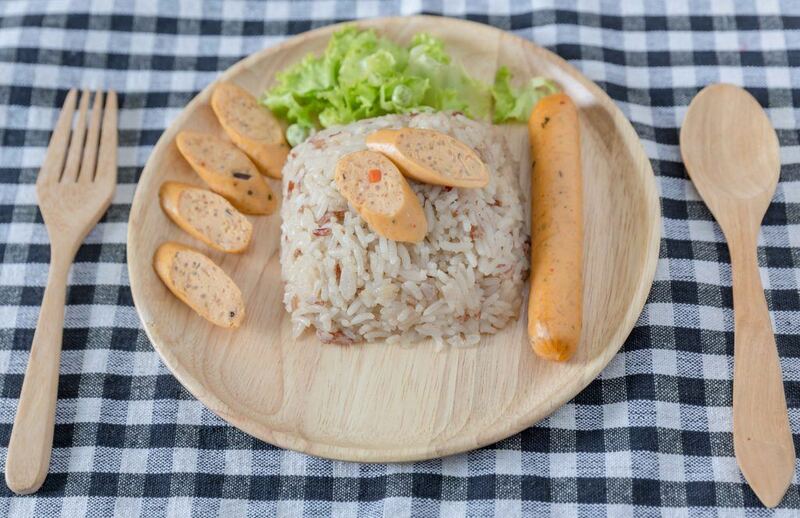 Parboiled rice is a recently-harvested rice which is steamed and soaked. This steaming process would allow the rice to absorb the nutrients which might be lost once the hulls are removed. So as a result, the grains are firmer and also less sticky. 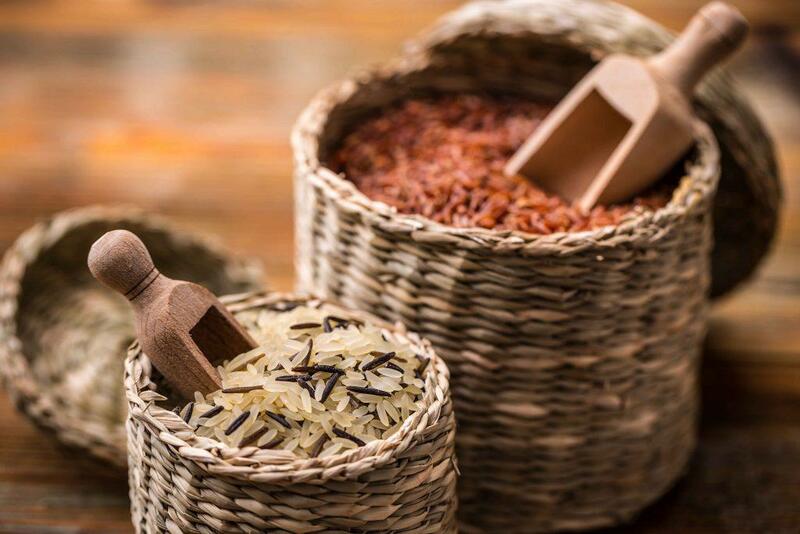 This kind of rice doesn’t only cook in a shorter period, but it is also a lot more nutritious. To distinguish it from white rice and brown rice, this kind of rice has a light yellow color. Once cooked, it offers a creamy white color. And it also has a drier consistency if compared to white rice. You know exactly that rice is somewhat easy to prepare, right? So, any rice might only vary based on the water ratio and the length of the cooking time. 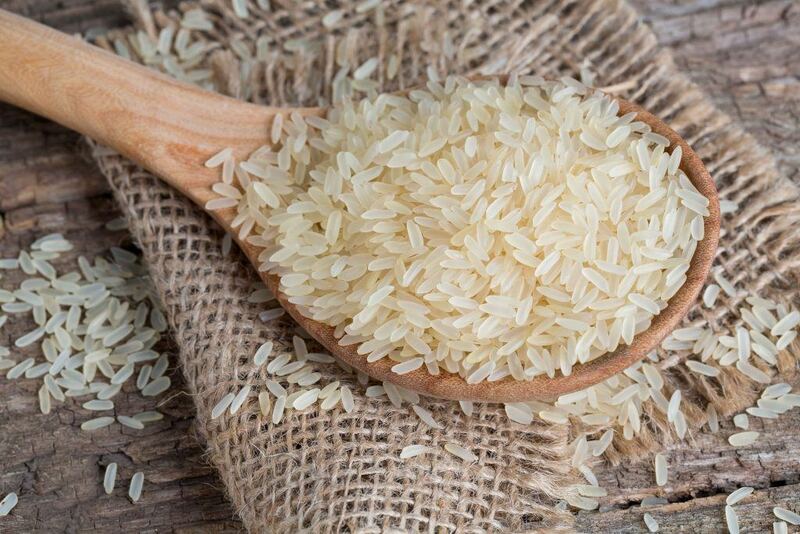 With regards to parboiled rice, you can choose from the three popular methods. These methods include the saucepan method, the rice cooker method, and the steamer method. 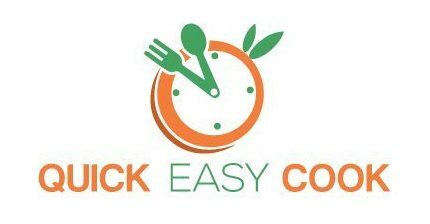 And you can freely choose which method you will use depending on what is available in the kitchen and of course, the method that is convenient on your part. Now, let’s discuss them one by one. Let’s begin with the easiest method, and that is the use of rice cooker. This kitchen appliance is designed for cooking rice, right? So having a rice cooker at home is a great convenience especially if you love cooking rice a lot often. Set up the rice cooker. Of course, you need first to set up the rice cooker and also follow the instructions in the manual. The process of setting it up is easy. You only need to plug it and pre-set the cooking temperature that is optimized for cooking rice. Rice cooker also has this automatic feature which switches to low heat once cooked to keep the rice warm. You can choose whether to soak it or not. To lessen the length of cooking time, you might soak in your rice. But, you might also opt not to. Strain the rice over the running water gently. You have to make sure that you don’t wash off all the vitamin fortifications. Put rice and water in the removable pot. Use preferred rice and water ratio and add a pinch of salt. It would be enough to add just a few pinches of salt since you don’t want the rice to be too salty. Adding salt is about bringing out the flavor. Then, turn on the rice cooker and wait. You have to give it a gentle stir after a few minutes for even heat distribution. Wait for the rice to cook. Wait for the rice cooker to switch to keep warm automatically. Only wait for a few minutes up until all the water, as well as the bubbles, have already evaporated. Fluff then serve the rice hot! Apart from keeping it from burning the bottom of the non-stick pot. You have to set up the steamer based on the specifications being provided by the manufacturer. Rinse the parboiled rice gently with the use of a strainer. You don’t have to pre-soak the rice before steaming it as this might take a longer time as well as soaks the rice for a long time, mainly. If you want a softer rice, pre-soaking might be needed. Consider the use of a steamer-safe container. There are electronic steamer sets that would include a tray for rice. Put the rice on it and then add water. And you wouldn’t want to put too much water since the water would also be absorbed by the rice once it cooks. 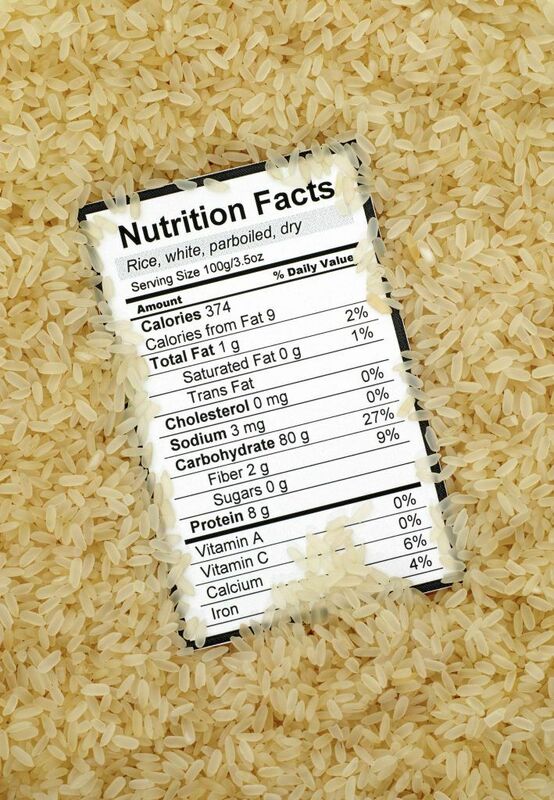 A part of water for every part of rice is considered as a good ratio. And don’t forget to add a few pinch of salt. Steam the rice and leave it. Put the tray on the steamer and wait for around forty minutes. It would take a longer time to cook parboiled rice in the steamer. This would leave you time to prepare which perfect stir fry as you wait for the rice to cook. You have to test the rice from time to time to check for doneness. And some varieties would cook a lot quicker. So there is a need for you to make sure to test once it’s already done. Once done, it must not have this grainy core. Serve your parboiled rice hot. Don’t fret about burning the rice with the use of this method. You transfer it to serving plate then fluff and smell that nutty goodness! Once you have time to prepare this earlier, go ahead then soak the rice for an hour before cooking it. This would lessen the cooking time a bit. Once you don’t have enough time for this, proceed to step 2. Rinse the parboiled rice gently. With the use of a strainer, you have to rinse the rice over running water gently. If you wash it thoroughly, it would actually remove the fortified vitamins. However, if you are sure about the sanitation of the parboiled rice brand, then skip this step. There are some varieties of rice would need more or less than the others. You only need to follow what is written on the label to get the tender result. Add more water if you want the rice a bit fluffier and sticky. On the other hand, skimp an ounce of water if you want the rice to be tender and chewier. It would only take about ¾ to a cup of water for every cup of parboiled rice. And throw a pinch of salt for bringing out the flavor. Bring the parboiled rice to a boil. Set fire to high then bring it to a boil. To distribute the heat evenly, give it a little mix. Simmer the rice for around 15 to 20 minutes. And wait up until all the water has already reduced. Serve your cooked parboiled rice hot! Transfer the rice to a serving platter and fluff it. 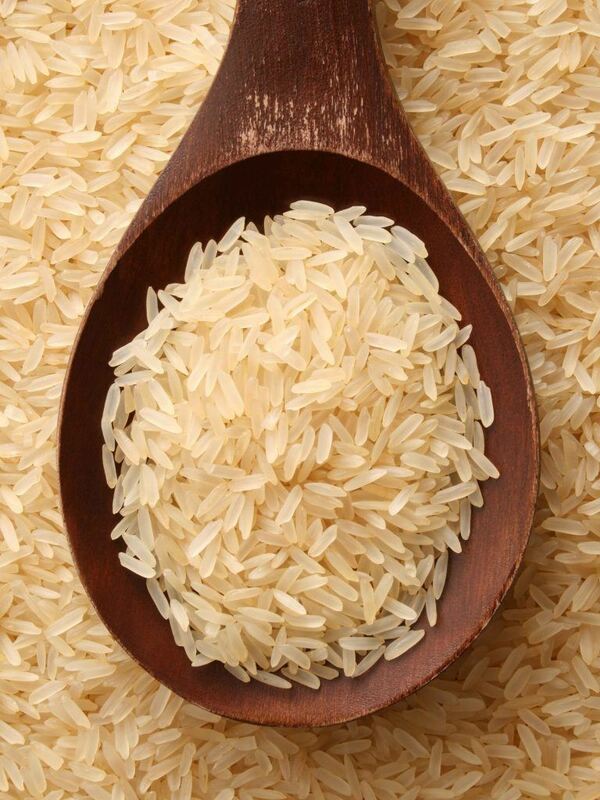 Rinsing the rice grains before cooking is not advised since it would eliminate the essential nutrients. Do not peek under cover of your sauce pan as it would reduce the steam and will interrupt the cooking process. Always base the cooking ratio of the parboiled rice on the process of cooking. You might also add flavor to the rice once you want like adding vegetable broth, chicken, and beef before you boil it. And make sure that the container is big enough since the grains would expand as they boil. So you have learned different methods on how to cook parboiled rice now. But, which one will you consider? Well, again, it depends on whether which one is available in your kitchen. If you have a rice cooker, then it is the easiest option to consider. I hope you like this article! If you have any questions or suggestions, please leave your thoughts below! Don’t forget to share this post with your family and friends! Happy reading!